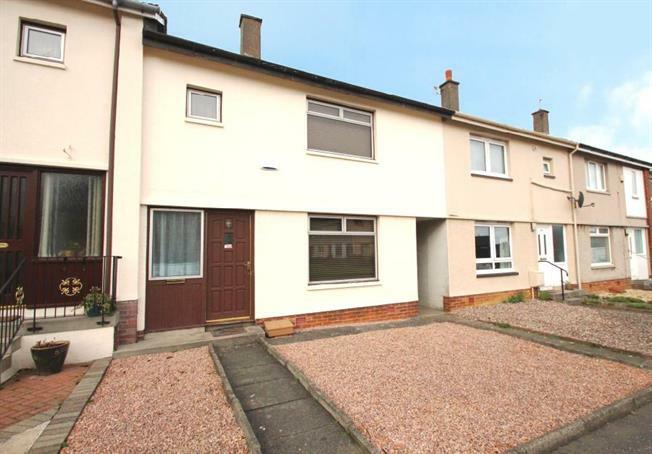 2 Bedroom Terraced House For Sale in Kirkcaldy for Offers Over £84,000. This terraced villa is centrally located within the village of Thornton. Conveniently located for local amenities and with the towns of Glenrothes and Kirkcaldy found nearby, Thornton is served by a train station making this an ideal property for commuting. The property provides generous sized accommodation comprising of entrance hall with under stair storage, dual aspect lounge/dining room with patio doors to rear garden. The kitchen is fitted with base and wall units with integral ceramic hob and electric oven and extractor hood and further access door to rear. On the upper floor are 2 double bedrooms, a useful box room and family bathroom. Externally there are low maintenance gardens to front and rear with side access. The front garden is chipped and the rear garden is enclosed, laid to lawn with chipped areas and garden sheds with power and light. With double glazing and gas central heating, viewing is recommended.